[Paid Pattern] Stunning Is All I Can Say! 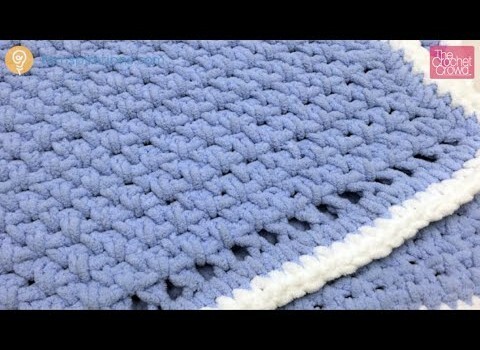 This blanket is a simple project for beginners. I suppose everybody knows of Mikey of the Crochet Crowd. His tutorials are great and made so everybody understands. In his hands, any crochet pattern becomes not only simple but also amazing looking. Here is a very simple crochet Crochet Baby Blanket pattern which is simple enough for beginners to make it their very first project. Follow along and make a soft and snuggly baby blanket for a special baby. Check out the original source for this pattern with all the directions and full written pattern at: Crochet Crowd. Thanks to Mikey for the article inspiration and featured image.